How Are You Spending Your Saturday, It's The Open Thread. How’s everybody doing? Me, not too shabby. I’ve been doing some cooking this morning and streaming the Petite LeMan from Road Atlanta as I slowly but surely get some things done today. 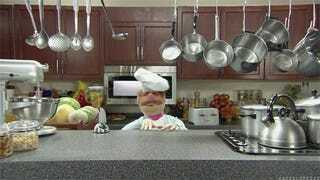 I also caught myself talking like the Swedish Chef just because I had a wooden spoon in my hand. Bork! When it gets a little later I may sit down and read something, I’m still working on “A Quest of Undoing” but picked up some Isaac Asimov stuff at half priced books that I’m eager to start up. So what’s your plan for Saturday? Got something you want to share? Got a great recipe for slow cooking? Share away, it’s the Open Thread.